The throttling policy in Exchange is a protection mechanism for the Exchange server to ensure that the server’s resources are not drained by a small number of users. The default policy allows for quite low amount of resources allocated, which in a larger Meetio Room deployment can mean that the service account, used by Meetio Room to connect to the Exchange server, becomes throttled. In turn, this may result in a less desired user experience where interactions (e.g. booking, ending meetings etc.) take too much time, or in a worst-case scenario, doesn’t get a response from the Exchange server. This is the simplest approach. Having one service account per 20 units will make sure they never hit the throttling policy. The downside to this approach is that each service account might be associated with a cost and the setup process might require some additional administration. This is the preferred method, since it makes for the easiest administration of Meetio Room devices, but it requires admin rights on the Exchange server. However, if you have the correct administrative permissions towards your Exchange environment and is somewhat familiar with PowerShell, here’s how you create a new throttling policy. 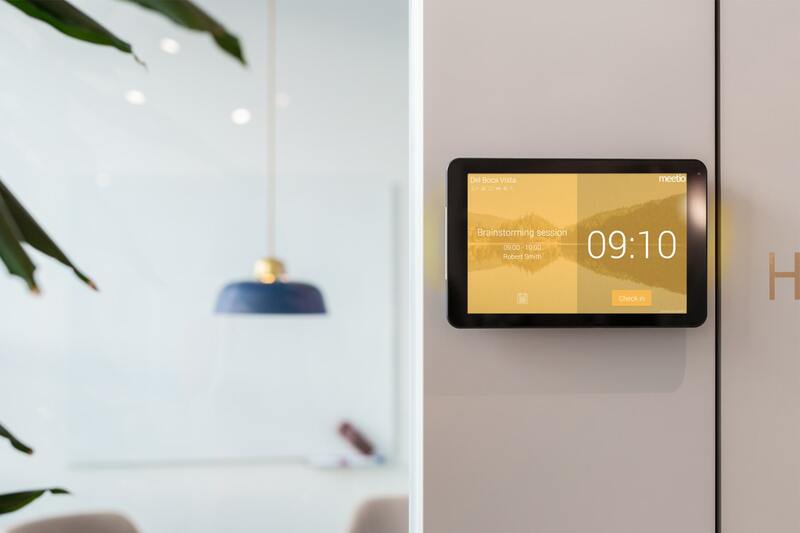 And that’s it – your service account can now be used to connect to an unlimited amount of Meetio Room displays.